Friendly advice to ensure you have a successful MCAT prep period but ultimately achieving your targeted MCAT score. For starters you have to know what the competition is doing. Based on information from previous application cycles everyone who applied to medical school had a 501 MCAT score on average but everyone who applied and was admitted to medical school had an average MCAT score of 508. You want to aim for 508+ to be competitive. I won't get into too much detail about how your application is screened but a computer does the first screen where if you don't meet minimum cutoff scores your application will be REJECTED. Meaning all your extracurriculars, Personal Statement, LORS and everything else that you thought would make up for a lackluster MCAT performance becomes meaningless. Some medical schools receive over 10,000 applications for a class size of only 150 including students. Obviously, AdComs need a way to cut down on how many applications will make it to a human to review and thus the computer screen. 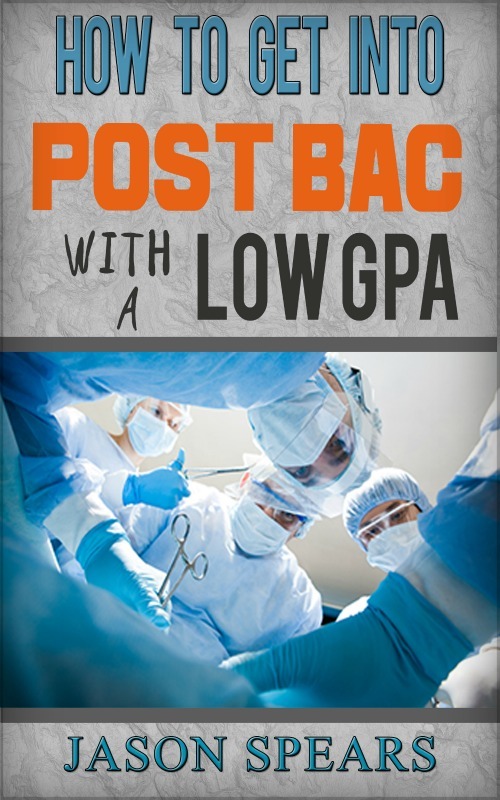 You're wasting the limited time you have with your MCAT prep. I can't tell you how often students come to me for MCAT prep and I ask how long have they been studying for, what does a typical week of studying consist of and how are they scoring? What I find is many students are spending a majority of their time doing content review. Content review may consist of reading, watching videos/lectures or any combination of studying that does not involve doing problems. These are very passive study techniques that will not do much to move the needle with your MCAT prep. It is no surprise students who spend weeks and even months of studying are not making progress when they attempt to do MCAT exams and have very low scores and no improvement. I understand there is a need to review and know content but there's a much better way to learn what you need to know for the MCAT. Do problems early and often. What you need to do ideally is take a diagnostic MCAT at the beginning of your MCAT prep before you crack a book or do any studying. This will allow you to get a baseline. It's scary and you have your Oh Crap moment when the diagnostic is scored and you realize you have a ton of work ahead of you. You now have some motivation as to just how much studying you have to do to get your ideal score. You did write down the ideal score you want overall and then the score in each section of the MCAT? Place it where you see it every day and look at it as it will serve as a constant reminder of what you're trying to achieve. So you know your weak areas based on the diagnostic MCAT. Attack the weakest areas first. When all is said and done more is said than done. I know you have grand plans and a very detailed study schedule but trust me when I say it's unlikely you will adhere to your study schedule. You don't want to find yourself in a situation where you are crunched for time like two weeks out from your test date and now you're just getting to the hard material you have been neglecting to learn for weeks. Instead, you've been focusing on the easy stuff. The problem is when time is running out you want to have some momentum on your side (p=mV) it's been years since I did physics but some things you just don't forget. And when time is short it's a lot easier to review your stronger subjects and pick up what you can as opposed to learning something that has always been difficult for you. This is rarely an issue of a student peaking and cannot improve. You are merely limited by your MCAT studying strategies and test-taking skills. Because I guarantee if I showed you additional tactics you could start using at the point when you believe you have maxed your MCAT score your scores would start improving. Never settle or believe you cannot learn or do more to improve your score. You have only exhausted the study methods you know. But there's always a way to improve unless you mentally believe it's impossible or dare I say you have a traumatic brain injury (relax that was a joke). Here's what you to do be a more active learner. I have no problem with you watching videos and reading because you have to learn or relearn the material in some way. But what you cannot do is seek safety in passive learning. Once you've been through the basics at some level jump in and do questions right away even if you don't know the material fully. When you do questions you will then see how the test writer twists, manipulates and changes the material that you just studied. a mental exercise you want to endure sooner than later. It's very easy to engage in passive studying and feel you know it well but the questions you do will give you a true indication of your level of mastery. As one premed upperclassmen who is now a cardiology professor who graduated from top 20 schools said while we were undergrads, "I'd rather look dumb in the classroom than on the exam." You want to have this same outlook with your MCAT prep. It's much better to get things wrong on the practice exams than on the real MCAT. And talking about the real MCAT. The MCAT is a test you want to take once and only once. This is what an MD/PhD mentor who sat on the admissions committee at UChicago Pritzker had to say to premeds preparing for the exam. If you aren't ready for the MCAT then don't sit for the exam or at a minimum void your score. For instance, a strategy you can use if it's too late to postpone your test here's what you are going to do. Take the MCAT and go all in like your life depends on it. If you feel as though you did poorly then go ahead and void the exam. You just had a practice run through of the MCAT under real testing conditions and I'm confident you're going to see things on that exam you thought was impossible and think how the heck could a test writer even come up with this stuff. This is good because now when you get back to studying and reschedule your MCAT you know how much work you have to do and the of detail required for a good MCAT score. Let me clue you into something about the MCAT. The MCAT is not a test of memorization. In practically all of your premed courses if you did the assigned reading, did the problems and memorized the relevant equations you would be sitting pretty on the curve and knew you'd at least pass. That's not how the MCAT works. The MCAT is a conceptual test. Remember the reason you're taking the MCAT is to get into medical school so you can become a doctor. Doctors don't memorize. Okay, there are basics that doctors must memorize but most of our work does not involve memorization. A patient arrives in the Emergency Department and the first thing I have to do is prevent the patient from dying. Once that's covered I take a history and physical and then order my labs. I then have to put all this information together and come up with my differential diagnosis listing from most likely to least likely what the patient has. Finally, I use my judgment, knowledge and everything the patient presented with to come up with my diagnosis and then devise a treatment plan for the patient. In all of this rarely did I come to a diagnosis based purely on memorization. I had to put all the pieces of the puzzles together and come up with my diagnosis and treatment. This is what the MCAT demands of you. The MCAT wants to know who can take basic facts and put the pieces together to answer the allegedly random questions the test writers make. In my time as a medical student, I've learned the key to academic success is not memorization rather knowing concepts. If you know a concept you can answer hundreds to thousands of questions on a topic. And you have to remember the test writer is always going to know more than you and he uses this to his advantage by changing the words and details. Meaning if you purely memorized as soon as you see something foreign you're going to be in trouble but the student who figures out concepts knows that regardless of the details the science never changes. And this my friends is the beginning of academic empowerment and finally taking control of the MCAT. Sure it's a beast, but you have the power to tame it. You're still going to have to work hard, study smart but it's entirely doable. 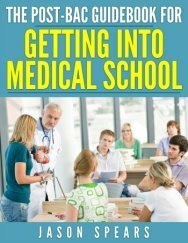 Doctors are graduating from medical school every year and you can join the ranks of a medical student by doing well on your MCAT. The MCAT is the gatekeeper deciding who will go on to earn the white coat, stethoscope and have some letters behind their name. Why are you going into medicine in the first place! Let be the motivation that carries you through when you are tired, unmotivated or simply frustrated that you aren't making the progress you want to make. You only fail the MCAT the moment you give up. If something is not working figure out why try a new strategy but keep pushing ahead because we're waiting to "pimp" the med students. (I'm kidding, you will love that you're in the position of being pimped because it means you made it). I never tell students good luck because excellence is about preparation, hard work, and smart studying.